If you are a newbie or aspiring realtor, establishing yourself as an expert in the minds of your audience is necessary to build credibility. One way to showcase your real estate acumen and build a positive reputation is to start a blog and give useful and important information to your readers. However, starting a real estate blog and making it popular among readers and search engines is not an easy job. Here is a complete guide on how to start your real estate blog. There are many hosting sites that can be used to host your WordPress blogging platform at a cheap price. Be sure to choose a host site that is optimized for viewing on mobile devices so that it’s always accessible and to your audiences and loads quickly on all mobile devices. Start your search for blog host on Google and choose a company after examining its pros and cons. If you already have a website, it is easy to add a new page for your blogs on your domain. 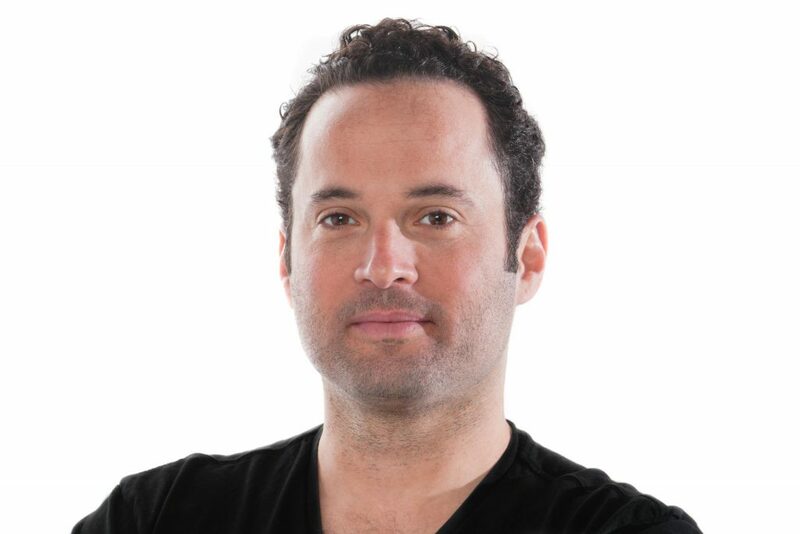 Roy Dekel is an entrepreneur, venture capitalist, and real estate guru with more than ten years experience in industries like finance, entertainment, merchant services and more. But his real estate venture, SetSchedule, has taught him new lessons about business that have made him a better entrepreneur. Serving as CEO of SetSchedule, an AI-based lead generation tool for real estate agents, has helped Dekel learn how to adapt and be dynamic in a demanding and competitive industry. Because there are so many real estate agents competing for business, and so many marketing outlets and agencies vowing to help them gain an edge, Dekel said it required him to be more in tune with what modern realtors need to succeed. Podcasts by experts are useful for professionals in any field or profession. These audio files can be easily downloaded and listened whenever you are in a relaxed mood and have free time – a particular advantage to real estate agents who are always making calls or paying visits to their clients and properties! The beauty of the luxury lifestyle is alluring. If you are a real estate agent and have decided to take your services to the next level, then entering into a luxury market can make your way. However, you can’t just luxuriate your way into this tough market! To excel in selling high-end properties, you must not forget that such markets demand a unique value and custom-made experience. Remember that the strategy you choose for a newlywed couple and for a billionaire would never be the same. At its core, selling luxury real estate relies on the same fundamentals as all real estate sales: understanding the value you offer for your service. This is not just a saying, it’s a fact! You can’t reach the clientele you’re after by traditional methods of rolling out emails or booking ad space online. You must start with spending time in a circle of high-end clients. You can offer them lunch and dinners at their favorite places. Even if you have to spend thousands of dollars to position yourself as a luxury real estate broker, then you must do that. You’ve probably heard already that the majority of real estate agents won’t make it through the first year in the industry. According to the National Association of REALTORs, 87 percent of agents won’t be in the business five years from now. If you’ve committed yourself to a career in real estate, then you have to take a hard look at the reasons why most real estate agents fail, and develop a strategy to avoid the same pitfalls. Fortunately, the tools to succeed in real estate are easily attainable with some hard work, attention to detail, and motivation. We’ve already discussed a few reasons why most agents fail; here are three more common mistakes, and how you can avoid them. In an online world, it’s more important than ever to make sure you have high-quality photos of your listings in order to catch the eye of a home shopper. Many real estate agents enlist the help of a professional photographer in order to get the best shots of a home, but if you prefer to take pictures yourself, here’s some advice to ensure that your listings are picture-perfect. Photos taken at dusk, with the lights aglow, can often create a striking impression, but this time of day can be difficult to capture without looking gloomy. If you’re an amateur photographer, get your exterior shots on a sunny, blue-sky day, at a time when the sun is facing the home (so, take photos of eastern-facing houses in the morning) so that shadows are less visible. The bright weather will allow potential buyers to envision spending time in the yard and enjoying the outdoors in their new home. It’s a new year and everyone’s making resolutions about what they intend to accomplish in 2019. For real estate agents, that means you should be thinking about how you plan to grow your business over the next 12 months. When identifying and defining your objectives for the year, be sure you’re starting from an informed place and are being realistic about your capacity to meet those goals. Here are some ways to set your business targets for 2019. Consider how many new clients you picked up, how many transactions you successfully closed, and your average net profit per client in 2018. Taking a look at your history will also give you an idea of which months were most profitable for you, and which ones were slower, which will let you plan out your finances for 2019. Starting with hard data from 2018 will give you an idea of where you can go in the new year. Being a realtor can be a very satisfying and rewarding profession. You get to help others in their endeavours, like buying a dream home or selling a property at the right price. But the rewards in this profession are often dependent on your skill as a salesman. Here are some tops to hone your sales abilities and grow your career as a realtor. This is the single most important advice you will ever get form experts when working as a realtor. Clients are happy when they can trust their agent. They don’t mind paying commission to you, so long as they have peace of mind that you have their best interests at heart. In fact, honesty is one virtue that is regarded more highly than your technical knowledge and knowledge about the market. This is the age and time of social media. Almost everyone has some sort of social media presence and people not only spend lot of time interacting with friends on these platforms, but also take important decisions in life based upon what others are saying on social media. This makes it imperative for you to have a strong social media presence. In fact, you can give a big boost to your career as a realtor with the help of the following smart social media strategies. There are lots of social media platforms, but you need to concentrate upon a chosen few like Facebook and Twitter. You can also use Pinterest and Instagram if you love to share beautiful photos of your listings. Finally, there is LinkedIn, a powerful social media platform to develop and grow your business network as a realtor. Being a real estate agent is hard. You start each transaction by working hard to attract leads. You convince these leads and convert them into your clients. You then try to fulfill their demands by identifying properties matching their requirements or by finding buyers for their properties. You genuinely care for your clients and firing a client is not something that you really look forward to. But sometimes, it’s the best option to keep from wasting your time – time that could be spent on other, more profitable clients. Here are some of the signs that it’s time to let your client go. If you feel you are not able to satisfy your client despite your best efforts, and that the client does not respect your advice as a professional, it is time to part ways. After all, you are a respectable agent and work for free until you have closed the deal for your client. There is no need to stick with a client who does not take you seriously.